If you are happy about discovering Helsinki, you'll be even more when you are introduced to its one of a kind cuisine. Here are the top tastes of Finnish cuisine you should try when in Helsinki. There are some cuisines in world in which soup plays a major role. Without doubt the Finnish cuisine is among these. 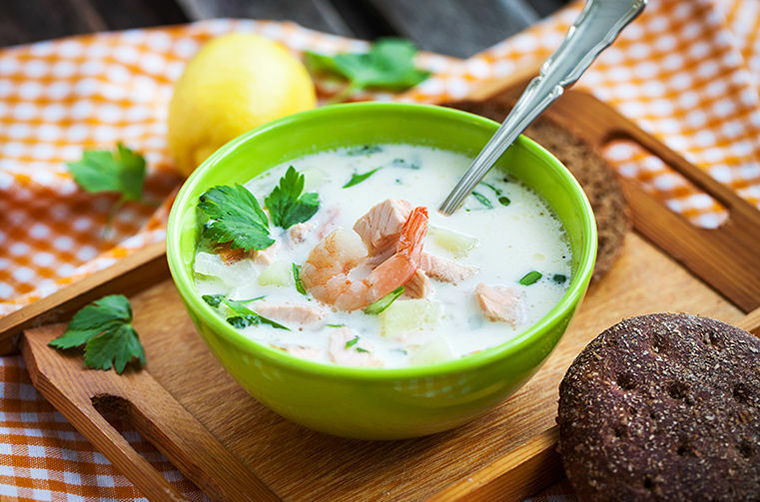 The deliciousness of the soups that come out of Finland can actually be taken as the proof on how assertive the cuisine is when it comes to this warm, delicious starter. There are a bunch of soups in Finnish cuisine however there are two of them that represent the cuisine very well and therefore must be tried during a trip to Helsinki. The first one is Valkosipuli. Valkosipuli means garlic in Finnish and the name of the soup speaks for itself; it is garlic soup. The name may bring a heavy smell to your nose however you can be assured that is not the case with Valkosipuli in Finland. Instead, you will be introduced to a new way of this magical herb, cooked with accompanying ones. The second one that should be tried as a starter when in Helsinki is Lohikeitto. It is smoked salmon soup with cream. The smoked salmon is actually a big part of the Finnish cuisine and consumed as both starters, main courses, side salads and salad toppings. However, when it is cooked as Lohikeitto and accompanied by the silky touch of cream, one of the most delicious soups you will ever taste is formed. This “must taste in Helsinki” goes for those who like digging the sweet side of cuisines they get to try. Known as the “Finnish Squeaky Cheese” or simply the “cheese bread”, this cooked cheese is served with cloudberry jam mostly and pretty famous among the Finnish to eat at home as well. Still, you can find this in cafes across Helsinki, too. Do it the Finnish way in Helsinki when you have the chance and give the reindeer meat a try if your diet contains meet. Poronkäristys can be translated in English as the sautéed reindeer meat and has always been a major part in the Finnish cuisine. The reindeer meat is known to be the healthiest among the red meat selection, and this for sure contributes to its increasing consumption among the Finnish people. The typical serving of the reindeer meat is accompanied with mashed potatoes. The cooking style of the meat may vary; the grilled, sautéed and sauced versions are available in restaurants in Helsinki, in all seasons. If your trip to Helsinki falls between July and August, you should definitely give a try to Mustikkapiirakka which is the Finnish Blueberry Pie. Although the baking style or the ingredients used don’t differ that much from what we know of the regular blueberry pie, the freshness of the blueberries used through this seasons cannot be compared to somewhere else’s. During these months, blueberries become the unofficial emblem of Helsinki and you should try them in the best possible form; as a slice of Mustikkapiirakka.